Jeremy de Beer creates and shapes ideas about innovation, intellectual property, and international trade and development. He is an award-winning law professor at the University of Ottawa’s Faculty of Law and member of the Centre for Law, Technology, and Society. He is a co-founding director of the Open African Innovation Research network, www.OpenAIR.Africa, a Senior Fellow at the Centre for International Governance Innovation (CIGI), and a Senior Research Associate at the University of Cape Town. His work has led to policy breakthroughs in digital communications, health sciences, food and agriculture, and clean energy. Professor de Beer has authored over one hundred refereed journal articles, book chapters, and other publications, and is an author and editor of several books, including Innovation and Intellectual Property: Collaborative Dynamics in Africa; Access to Knowledge in Africa: The Role of Copyright; and Implementing the WIPO Development Agenda. As a practicing lawyer and expert consultant, he has argued a dozen cases before the Supreme Court of Canada, advised businesses and law firms both large and small, and consulted for agencies from national governments, global think tanks, and the United Nations. 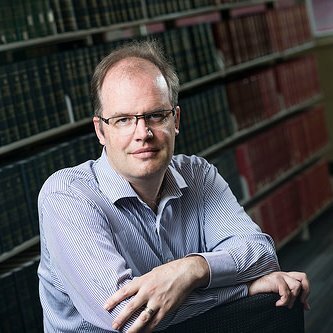 Read more about how Professor de Beer is pioneering international, interdisciplinary research partnerships to transform complex legal concepts into real-world solutions at www.JeremydeBeer.com.